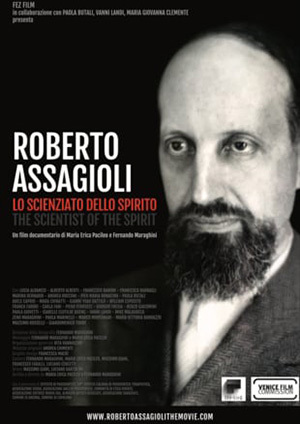 In this talk with some of his student, Roberto Assagioli is going deep into his consideration about the nature of the Higher Self. He discriminates between the Self and its influence in the superconscious area. The central subject is the self. This is an apt beginning of an initial identification, or affirmation of identity, with the self. It may seem strange that this central fact of our existence and our experience, the most immediate, intimate awareness we have is generally ignore or even denied. I could say, spiritually it is a scandal, but psychologically it is quite understandable, owing to the extroverted direction of Western Civilization, the final results we can observe all around us. And therefore, it is time and perhaps, in a sense, the greatest service we can render to proclaim and celebrate the Self. Of course, in the East, not the masses of course, but the enlightened minority has always realized that and the Bhagavad Gita shows clearly and scientifically the distinction between the knower, the knowledge and the field of knowledge. It seems obvious, let us say spiritual common sense, that there could not be knowledge or a field of knowledge without the knower who knows it. And yet in the West one speaks of knowledge without any awareness of a knower, in ourselves or in others. I put this thing rather bluntly in order to show the situation and encourage change, and the great task and service we all have in this respect. And as usual, as with peace in the world let us begin with ourselves. The first thing is that each of us and as a group we realize vividly the reality of the Self. Because we are all mentally convinced of that or we would not be here! But that is just a beginning. One might say it is like seeing the top of a mountain bathed in sun from the valley. And at least we know that there is a mountain, that there is a top, that there is a sun above it. But from the beginning, it is a challenge. So I cordially invite you to the adventure of climbing the mountain. Now it is clear, I repeat, all these things are known intellectually by you. But we have to help each other to realize them. And this realization is revolutionary, transforming, transfiguring. Even a clear mental notion of the task is helpful. Let us realize first that the realization of the Self occurs up to different levels or octaves. First, at the personality level. We must realize that the appearance of the self does not begin at the top – it begins on the plain. It is a purely psychological experience. But it puts the firm foundation for all the rest. Giving the analogy, we will have to clear the field of consciousness, our personal consciousness, of all its contents, both so-called bad and so-called good. And sometimes the good contents may be more difficult to eliminate! Of course, if at first we can do it for five minutes, it is plenty! I would begin with only a few minutes, not to get discouraged, then arrive to possibly more. It is more important to do it for shorter periods than to do it with effort. So do it repeatedly and even imperfectly; get into the habit of shifting the self-awareness to the centre. This is not a peak experience. So many at present crave for wonderful peak experiences, even with doubtful means, and they neglect the first step or level. Here there is another basic misunderstanding to eliminate. Here I might say the fault or rather the cause is not the blindness of our materialistic civilization but the language used, both in the East and the West. “Destroy the self, destroy the ego, get rid of the ego, it’s all illusion” and all that. That of course provokes a violent reaction from the personality. It is the mistake between the contents of the personality, between the identification with the contents, and the point of Self-awareness. If we eliminate the content, we remain. The self remains. Pure self awareness, not ecstatic, but it has in itself a sense of assurance, of inner certainty, security, permanence, which is already much. But it is a quiet subtle thing. Therefore, all the assertions “there is no ego” have to be qualified … What do you mean by ego? If you mean your whole personality, of course, most of which has to go. But if you mean the self, no, the point of self-awareness remains stable, immutable, permanent. This simple clarification which I see from your faces you agree with, helps to get rid of a quantity of mistakes, of misunderstanding, of false attitudes and attempts. So I think our first task is this, to clarify what I said. I invite you to do it on all occasions and all the time, beginning by yourselves. 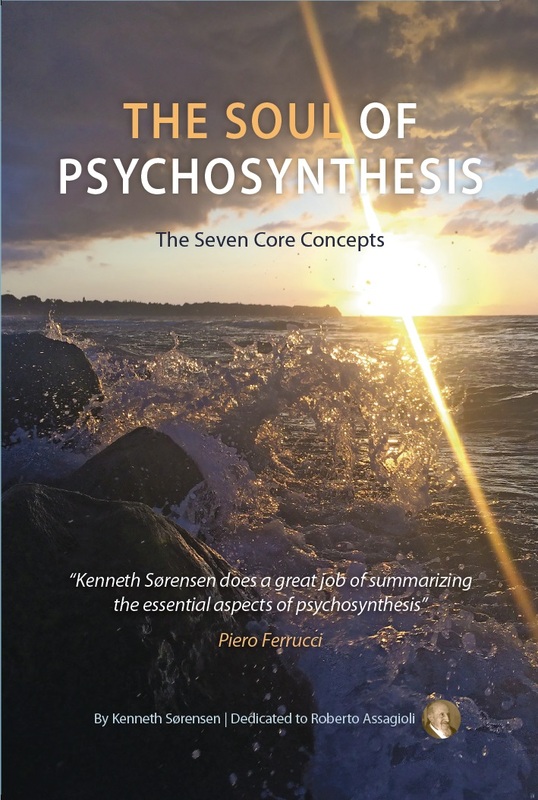 This, if you like, can become the essence of personal psychosynthesis, because there cannot be a synthesis of elements without a synthesizing centre. So I think that would be almost enough for today, to have this very clear; but I go a step further. Why does the self at the personality level have this quality? Because it is the reflection of the Higher Self, of the transpersonal Self, and it reflects, however palely, the same qualities of its Source. If you look at the reflection of the sun on a mirror, or on water, you see the light and quality of the sun, infinitesimal, but still the quality of the sun. So that explains why even at the personality’s level the self is stable, sure, and indestructible. Q. Some people do not like the idea of saying I have a body, but I am not the body – or other contents of consciousness. They feel this is a rejection. A. That is one of the many misunderstandings, which are consequences of the central misunderstanding. No rejection at all, but put things in their place. We need bodies here, and we ought to take care of them and appreciate them. It is not only mystics or religious people who have not the right concept, but also intellectuals, who neglect their body, have no sense of their body, who do not experience, are not even aware of it. So we have to fully appreciate the body, without making any mistake to say I am it. What’s the difference. I can appreciate an apple, but I am not the apple! We can appreciate many things without being them. So we appreciate our body, make good use of it, and asking forgiveness for the sins we commit against it, without saying “I am that.” It seems obvious. There is an explanation for that mistake. At present to many people it is the body that has them. They are slaves of their body. So as a first reaction, perhaps a separative stage is needed psychologically. We may have to go to the other extreme for a little while in order to reach it. And that is true for every kind of possession. We must realize that we are all the time possessed, even obsessed, by all the conditioning of our background and current life. And also what is called our material possessions, we do not possess them, they possess us. Those who are attached by money are possessed by money; they do not possess money. And so, for all the rest of the contents of our personality, not being possessed, but possessing is the right way without attachment. But to be appreciated and used; also with money. The depreciation of money, the attack against money, is only a phase for detachment. Money is divine substance crystallized, is energy in a convenient form for handling. It all depends upon our inner attitude. Q. I am so grateful for being here. The Self, the transpersonal, is a great step. It may take years, even a lifetime. A. Oh yes, there is no end of the realization – from the personal to the tranpersonal, from the transpersonal to the group Self, from there to the Universal Self. So you can have a good time! Q. Yesterday, someone mentioned that often therapists are inclined to become perhaps overly involved and preoccupied with only the theoretical aspects of psychosynthesis, and subsequently with too little emphasis on the practical application of the psychosynthetic principles. Will you please explain some of the psycho-dynamic elements and/or causes which underlie this propensity. A. It is very true what you said, but that one could call the illusion or delusion of intellectualism. Again, intelligence is a wonderful thing, but the intellect should not possess us! We should try to be as intelligent as we can (and we can be more intelligent and use our intelligence), but not be possessed by it. And especially realize that any intellectual formulation or theory is merely a description, not a real thing. Q. What Self were you speaking of – self with a small “s” or with a capital “S”? How about the Transpersonal Self. These are confused points and concepts. One speaks of (from the higher experiences) illumination , intuition , and all the other so-called cosmic consciousness, etc., as being the same. They are not. The basic difference is that all of these are processes, living processes. They belong to the world of becoming and even at the transpersonal there is this wonderful process of becoming, of growth, of all the phases of super-consciousness. But the Self in contradistinction is stable, firm, permanent – to use the philosophical word “ontological”. It is Pure Being. Pure Being is not becoming and becoming is not Pure Being. It needs the intuition to grasp this, or even the illuminated mind, but they are both together anyhow. Also, on the higher, and let us say the rational mind can see this difference, and many philosophers have pointed out the difference between being and becoming, process and entity. Well, that has been the wonderful intuition of Maslow with the title of his book Towards a Psychology of Being. Therefore he has seen that when the end of our psychological search is reached where we shall “be”, but present psychology can only go towards it, as we can go only towards it. That gives me an occasion to advise you warmly to thoroughly study Maslow. His basic books, and Towards a Psychology of Being, and the new one The Farther Reaches of Human Nature. Maslow has been a great pioneer opening the way, but he has not had the possibility of developing all that. He is beginning – he doesn’t give the map and he doesn’t pretend to give it all. He is a pathfinder. He shows paths and he has got rather far on some of them but not to the end, and there are other paths. So he’s upon and shows paths and signposts. The whole exploration practically has to be done in a systematic and scientific way. There are plenty of testimonials of experience, but not a general, consistent map of the inner space. So that’s for all of us to go on and do it. Let us feel the wonder of being pioneers along with others, with a growing minority of others. So not only is the map not the territory, but at present there is not a map. In a sense this is very good for only a primitive map could create limitations. In a sense we should be glad there is not a map so it is our opportunity to trace it. Remember always it is a map. Therefore please study thoroughly Maslow. A special chapter in his last book, which was first published in the Journal of Transpersonal Psychology is “The 32 Meanings of Transcendence.” This is a perfect example of the dozens and dozens of meanings of the same word and he courageously tackled this word transcendence which, of course, is not a matter for psychology yet. So if you study Maslow I can refer to that in the present and the future, but it can be our good companion and guide up to a certain point in our explorations of the inner world. He, too, doesn’t always make clear the distinction between being and peak experiences. It would be too much to ask him to give us the complete, perfect picture. He has given us so much, but while you read be aware, that often he doesn’t make it very clear. Now you see how much the Self implies. The confusion, the natural inevitable confusion at first between transpersonal experiences, peak experiences, and the Self is very well illustrated by astronomy. We say currently that we see the sun. But we don’t see the sun! We see the light emanated by the sun. It’s something completely different. We don’t see the sun. We don’t know what the sun is behind the shining curtain of radiation, and the astronomers have lately realized that, and somebody gives – I don’t remember who right now, but it’s not important. If we look across the lake to the lights and lamps on the other shore, we naturally say we see the lamps. But we see nothing of the kind – the lamps are invisible – we see the light emanated by those bulbs, but we don’t see the bulbs. So also at this level we never directly see the core, the source there, immovable, just radiating and shining. What you can see are the radiations that come from that. So all becoming is a radiation from Being. Q. Is the clearing of the contents of the personality of both “good” and “bad” done by dis-identification? A. Of course, that is the deeper meaning of dis-identification. All of what I have said this morning is a kind of comment and explanation of the basic fact of dis-identification, and I repeat what I hinted – sometimes it is harder work to disidentify from the so-called good points than from the so-called bad points, and on a higher level, from the so-called peak experiences. Q. How can we celebrate the Self? A. Also here is a paradox. Essentially we cannot celebrate the Self except being the Self, but on the level of relativity, the personal self, the self, the reflection at the personality level, we can well celebrate the Higher Self. So the personal self can celebrate the Higher Self. But when it is united with it there is no more celebration, but as a means to approach it, to rise towards it, celebration is very useful to proclaim and celebrate the Self. In the same sense one can worship, in the good sense, the sun without knowing it directly, but only through the radiation. You see, these are all different ways to see the same thing. Perhaps one could write about the 48 ways of seeing the sun. Q. You said there can’t be a synthesis of elements without a synthesizing centre. This seems to be so central to our them and to psychosynthesis. Could you please develop this a little more? A. Well of course there cannot be anything without a nucleus, a core. There cannot be an atom without a core. There cannot be any living organism without a central life with keeping the life organized for the purpose of permanence and growth. So you have to say there is always inevitably a core, and what I have done is only to apply specifically to psychosynthesis of the human being, both at the personal and the transpersonal. There could not be any order, any harmony, and real life of a personality without a synthesizing centre. But the personality is not yet synthesized. It is a constant, dramatic interplay between subsidiary centres of sub-personalities, or drives, or all kinds of contents of the personality, and the synthesizing centre which has such a hard time. But it is there, and however partial and unsatisfactory to a certain point in the so-called normal individual, it is a co-ordinating, bringing together element. Therefore psychosynthesis, first, second and third, is the working from the centre. That centre you see is synthesizing not in itself. I repeat it is a static, pure being but it acts. This is a paradox, also another central point to realize and then enough for today. The Self radiates. Aristotle called it in that fine paradox the “Immovable mover.” It is immovable but sets in motion everything else. I suggest that you meditate upon the immovable mover, and our centre the sun, that unknown mysterious entity sends enormous radiation throughout our whole solar system and beyond. Also, a jewel is static, but sparkles. The jewel receives light and then reflects it and sends it back again, or even a simple mirror reflects most of the light it receives, so it is not so difficult to realize this paradox of the immovable mover. These are points to ponder on first, and then to realize gradually for rays, weeks, months, years, and decades. I suggest that for a few days we go on with a simple affirmation and realization of the Self. We can do it a little longer today – how many minutes can you stand? 5 – 7 – 8 – not more! We’ll use this egg timer with a bell. It is made to cook eggs, but we sublimate it and use it to set the time for meditation . This is an amusing example of how we can utilize all machinery for spiritual ends. Machines are indifferent. These cassette recorders lend themselves to spiritual messages and to spying. It’s all the same to a machine. Let us realize that. So there is no sense in barking against machines, but there are those who make foolish use of the machine. All, let us say acquisition of a machine, is a test to a false address. It should be to the sender. So let us meditate. With dis-identification. Let us relax the body, asking it gently to keep quiet for 8 minutes. The same to the emotions, calm but no activity. Now the troublesome mind. More difficulty because we have been using it until 2 minutes ago and it resents being ordered to go ahead full steam and then immediately to keep quiet. It has to be tamed, so let us ask our mind, “you’ll work all right later but for now keep quiet for 5 minutes.” That is the way we need to talk to our various parts – in a kindly way but firm. Now we have made some room, some space in consciousness, let us affirm and proclaim: I am I, a centre of pure self consciousness and of will. “We are that Self. That Self are we.” Let us try to realize it in a triumphant mood. That’s a supreme truth and it shall prevail. Do not fight the intruding elements coming from body, emotions, and mind, do not fight them actively but keep them on the periphery of consciousness so to speak. Bring back the awareness, the attention, to the radiant core, to the centre of pure Self-awareness. Don’t be discouraged because you didn’t succeed. This is a training towards. Let us not have any illusion that we succeed. If not, it will go away, finish. So just the beginning of training towards. Of course, we cannot keep quiet all our elements but we have to begin, so no discouragement at all. Just experience and elementary training is all that can be done at present realistically. Don’t ask too much of the personality. Q. You said will is no entity, nor is love. Can one not just meditate on the Will as an entity or a great life? A. But, of course, there is an entity of love and an entity of will. What I meant is there is not an abstract concept of love, not a theoretical concept or philosophical concept of will, or love, or so; but they are great cosmic entities, archetypes. All are entities. Finally that great affirmation Space is an entity. So, of course. But entities in the sense that they are living, subjective, conscious beings. But when philosophers or psychologists discuss on love, they do not think of love as an entity – they think of a concept of love – a theoretical description of love. That is the distinction I wanted to make clear. There is no philosophical or psychological concept – pure mental concept – just because they are living entities. Have a good time with your Selves. Q. In your discussion of the confusion between transcendental experiences, peak experiences, and the Self, you gave us illustrations of the light from the sun and the lights emanating from the bulbs across the lake. In these illustrations, we see only two of the above aspects. Would you clarify these points for us, please? A. I don’t quite see, but I’ll sum up the matter. I mean, we never see the core, the centre, only emanations from it. We don’t know even what the core of the Self is, but the radiation. So the same, we never see the bulb or the spiral in the bulb across the lake. We only see the light. I think there’s nothing more to say than that. The basic differences between the core and the radiation from the core are the essence of the Self – being – and its rays and radiations. All our transpersonal experiences are experiences of radiations, qualities, energies of the Self but not of the Self itself. Is that clear? Q. What is the peak experience and where does it fit into the analogy? A. Peak experience is only a general term used by Maslow to indicate any kind of transpersonal experience, mystical, aesthetic, &c. Anything of peak means height, an experience above the normal level of consciousness (or personal consciousness). Not something specific, just a general name for any kind of experience above the ordinary level. But essentially it is this. I could say one thinks, paradoxically, that the self cannot know itself because knowledge is a dualistic attitude: the Knower and something known. But the Self IS! It needs not to know itself in a human way. It is being – pure being – essence – that, I think, makes it more and more clear. Now I should like to add something about the celebration of the Self. Somebody asked me to speak of the celebration of the Self. I gave already the general answer concerning each of us. To celebrate the Self is to become more and more aware that we are the Self. But then there are more specific ways of celebration, especially for others. And I give you a formula, then I’ll comment on it. “To proclaim and celebrate the Self in thought, and word, and deed, in life and death.” This requires comment, especially the last sentence. “In thought” is just what we are doing. To realize also mentally as much as possible, as little as possible, something of the essence of what the self is. 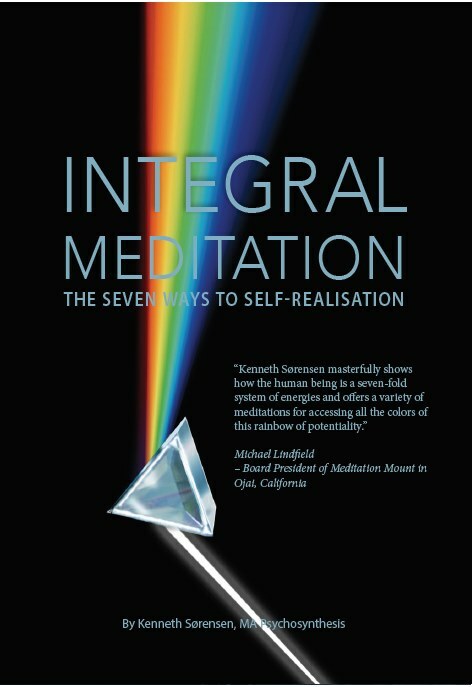 And in meditation: a vital meditation on the self is to proclaim and celebrate it in thought. Now “in life and death.” From the transpersonal standpoint, life is beyond the body. The transpersonal that is not identified with the body. For life is a joyous proclamation of the true life of the Self. So when we say “in life and death”, we are to think life and death. So you can use this in all of your work on the Self and with the Self, and with others. Q. Could you speak of sub-personalities? A. I think it is good to speak about the sub-personalities because it is an essential technique and not all have a clear idea about them. Sub-personalities can be considered in two ways: In a general way one might say that as the sun reflects itself in countless mirrors, so the Self can reflect itself, not only in the one central personal ego but also in others. It is difficult to realize but each sub-personality that is developed enough enough to have a will, to be consistent, to think, and to feel, is a miniature personality, and has the same qualities of the general personality. A sub-personality is a small personality on its own that would live in rather deep water, There is the priniple of personification, but I will not go into that because it is more theoretical, and I abhor theory. But after all it is not a theory, it is a process of personification. Every psychological element, especially every group of psychological elements, e.g. those that in psychology are called “complexes”, tend to personify themselves. Up to this point it is not a theory. We can observe that. Let us take the simplest example, the roles. A woman often identifies herself with her motherly function to the point that she feels and acts chiefly as a mother. So that is a subpersonality on its own – which may be conflict with the feminine traits. One of the subjects of practical importance – I don’t go into that now – is the conflict between the wife role and the mother role. We may take this up another day, but it shows that each sub-personality has a kind of ego. Now, I’ll just mention a theoretical question. One could conceive a sub-personality as a direct reflection of the Self, as I said, of the Higher Self, or as a second reflection of the ego. The first perhaps is more correct to say metaphysically, but the second is more useful for practical purposes in education and in therapy because that helps to re-absorb each sub-personality into the integrating personality. So for purposes of psychosynthesis, self-actualization, education, and therapy it is better to adopt this, which is true as far as it goes. It happens! One can reabsorb and let us say, put down a role, a sub-personality, through each function of the role. It is very different if one says, “I am the mother”, or instead one says “I play now the role of the mother as well as I can”. That makes a difference. Then the mother is now no more independent, self-asserting, &c. But it is a subsidiary role of the whole personality. That makes all the difference, practically. It can also be expressed in terms of dis-identification. Dis-identification means putting at the right place every element and role and sub-personality. So it is not abolishing, not criticizing, nothing of the kind. It is giving to each its proper position and function, under the guidance of the personal self first, and eventually the Higher Self – or the two combined. So the different approaches complete each other at various sides. But this is one of the most practical approaches, if we only remember it. It is easy to understand – and easier to forget! Now, awareness. I speak much of awareness. Awareness is just this – to be aware all the time is not “pure awareness” or something transcendent . There is that of course. But the first awareness is to be aware of the interplay of the factors in the personality. I present these points on purpose in a non-systematic way, just answering the needs of the moment, because it is more direct, more vital. Then it is up to you to put order in this madness. So it gives you something to do. It is better, also, in your work to never give things ready-made on a plate. Just give them the ingredients and say “you cook them”. And most like that – needs cooperation and their own work, and all that. And those who won’t take the trouble, they simply aren’t ripe. Let them go and play and swear. So you see how your comments tickle me and give an occasion to say some things. Q. Does this process, though, mean that the personality’s becoming (becoming what? – integrated, synthesized, actualized?) is a radiation of the Self’s being? A. That shows how very difficult it is to become aware of these things. They appear simple, but it is difficult; I quite appreciate it. If you find it too easy I would be doubtful. Of course the personality is becoming – becoming what? integrated, yes; synthesized, yes; actualized, yes; is a radiation of the Self’s being, yes! The integrating factor in the personality is the personal self, the reflection of the Higher Self, or Transpersonal Self. Without that integrating, synthesizing factor there could be no real personality, no integration. This has been expressed well as it, in a sense, is an aspect of the Universal Law of syntropy. Physicists, up to recent times, spoke as if there was entropy only, that is the degradation of energy until everything was dead. A very tragic picture, fortunately completely false. Now they have discovered, with the new research, and both in sub-atomic physics and in astronomy, that there is indeed a process of syntropy, of increasing the potential, the tension. It is what Teilhard de Chardin calls the Omega Point. So it has been demonstrated as a reality. In a sense, only in a sense, it could be considered as an aspect of the law of gravity, of attracting towards the centre, but in motion, and becoming, especially in rapid motion, there is the other tendency of dissipation, of spreading; so the life both cosmic and individual is a fine balance, or should be a fine balance between the tendency to concentration and to diffusion. If there was only concentration death would ensure. If there was only diffusion, also. To repeat, we can always observe in empirical terms, that there are two trends. The trend to concentration and the trend to dispersion. Partially it corresponds to introversion and extroversion. And as in personality integration and psychosynthesis the aim is ambiversion, that is being able to alternate extroversion and introversion from a higher point of awareness. It is the self, even at the personality level, which through the regulating function of the will, the directive regulative function of the Will, can balance the alternation of extroversion and introversion, according to needs, opportunities and tasks. This is the personal, simple, let us say manifestation of the cosmic love, of the balancing between gravitation and expansion. Is that clear? Q. Could you say something of the ambivert? 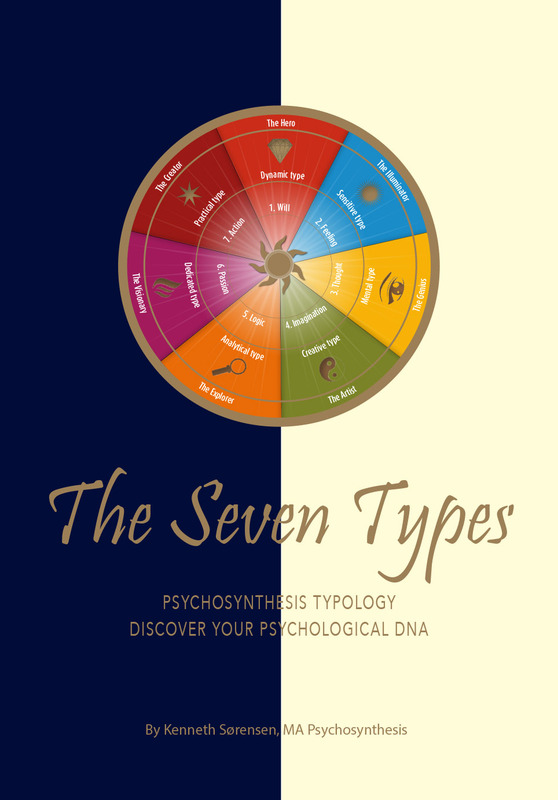 Is there a personality type indicating integration and ambiversion? A. I’m going to give you the appendix from my book on the Will, on differential psychology. There I made it clear that, in a sense, there are no fixed types. Introvert , extrovert, etc., are not labels. They simply mean a direction of the life interest; that is a process, not something static. Therefore, we should not label either ourselves nor anybody as extrovert or introvert, and we do that all the time and it is a limiting label. Fortunately there is no 100% intovert or he would perhaps be a severe psychotic, nor a 100% extrovert. Although many modern men, business men, &c., get dangerously near to being 100% extroverts, but happily they cannot reach it and then some crisis comes in beneficialy to pull them back. Therefore, introversion, extroversion, and ambiversion are just temporary conditions, or I might say percentages of the flow of energy. Also, biologically, while we are asleep, we are biologically introverted but many activities go on and when we are very active physically, emotionally, in gymnastics or sports, we are physically extroverted. So at all levels it is a momentary direction of the greatest percentage of vital, psychological, and spiritual energy. So no labels, but just an existential condition which changes anyhow, and which we can take in hand and direct. Of course, at best, someone who has an integrated personality has the power to be ambivert at will. They can be one of the two at will. Q. Are the terms individual self and group self just terms, since all is one? Do we have to experience individual then group on the way to be One? A. Now that gives me an opportunity to take up another essential point of psychosynthesis, that of the various levels of reality. There are various levels of reality, or if you like a modern term – energy fields. Each has its own qualities and laws. For instance, certain chemical laws at the atomic level are no more valid at the subatomic level but they are not abolished, not superseded; only at the other level other laws work. Here comes a jump, leaving aside intermediate steps which you can find out – “All is One” is a deep metaphysical truth at that level, but unfortunately many bring down that wonderful reality at human levels, or other levels in manifestation where it simply does not operate, and many of the so-called metaphysical movements, and also some Oriental approaches don’t take into consideration the basic difference. All is One in essence, in Being; but in becoming, in manifestation, in that process of life, there are countless many. I don’t enter into that problem. “All life is One” has chosen to reflect itself in countless ways. If He did it we may surmise He had very good reasons, but it is His business not ours. What we can say is that the great process of involution culminated in the mineral, as far as we know, and then started the contrary movement or process of evolution. We perhaps optimistically can say that we are at the middle point. We have passed through the mineral, vegetable, animal and partially human. So we have to proceed in this evolutionary work towards the “One”, but it is still far off. And here comes the confusion between the two selves which creates so much mischief. When we may “I am that Self” – quite true, I am the One, but we are not that in daily life at all; that could be paranoia. As I have written, some paranoias just take that literally, and when they have a glimpse they think they are God. So you see all this fits with the levels of reality. Now you can work it out nicely with your active mind. Write something on it. And also today I think I gave enough. The egg starts cooking. We can jokingly say it is a question of the condensation of the yoke or the core. But also with Self we can use each day for a moment, first a rapid recollection of the personal self, quieting as much as possible in a short time, relaxing the body, quieting the emotions, asking the mind to be so good as to keep still. And then in the measure we succeed in doing that, the elastic pull, the thread between the personal self and the transpersonal Self can be considered as being elastic, and a good elastic. And when all the things which tie the personal self to the ordinary level are eliminated in a measure, the pull continuously operates and the personal self is drawn joyously upward toward the Self. We are that Self, That Self are we. Try to realize it in the silence. Q. You have spoken so much of the Self. I have been pondering these last few days on the distinction between the Self and the mind. I am a little confused. If you can bear with me for a moment, I would just like to ask this. Is the mind, The Self at a peculiar level of evolutionary development, or is the mind but the vehicle of the centre of pure self-awareness of the Self being lifted onto the mental plane, the plane of mind, manus? The mind is a creative organ it seems to me. Therefore, it is not simply a vehicle until the point of self-awareness has been raised onto a higher level so that it can impress the mind from a superconscious or abstract level with its will and purpose. Therefore, through deductive reasoning, the mind, in my estimation, is a creative, active, energizing organ with a conscious I. The point of self-awareness has been shifted consciously by the will into a higher psychological, or spiritual centre. In other words, when is the mind a vehicle for the Self, and when is it the Self itself manifesting through its qualities and field of energy? A. This I answer in purely psychological language, because it can be done. Well, the mind, to put it in an extreme way, has nothing to do with the Self. Animals have some mentality. Sometimes they are cunning and intelligent. This apart from the fact that there is an intelligent mind in our life, and so on, but that has nothing to do with the Self. The mind can function at different levels, independently of the Self. The mind is really an instrument in the higher sense. We can psychologically distinguish the concrete mind and the higher mind which is reason, “nous” in Greek. But psychologically one can say there is the analytical mind, concrete mind, scientific mind, and on another level there is the abstract and more philosophical mind, which deals with the universal, let us say Kant, Plato, etc., but that has nothing to do with the Self. There are very intelligent philosophers who deny or ignore the Self. You say the mind is creative. In a sense an instrument can be a creative organ. It is creative in its own way. The processes of the mind, induction and deduction, are creative. Moreover, the mind is often associated with imagination and with feeling, sometimes with intuition, so their combination is distinctly creative, but has nothing to do with the Self. Is this clear? The Self is a completely different dimension. The Self is a completely different dimension. There is a mathematical term – “incommensurable”. The Self is incommensurable to any other dimensions of the Psyche. I think I made it clear. It is good to clear this point because for everybody present and for all those you will teach and treat. It is part of everything. I put everything in its own place. That doesn’t mean complete separation, but clear distinction of functions. See? Q. When a person who feels he is out of the body without intention or control through some form of meditation, how can we help him to be grounded? A. Well the immediate help may be to shake him up, throw cold water on his face, but the cure is as often purely chiefly preventative toward people not to let go of conscious awareness, of the “I” awareness all the time. It is not necessary at all; one can have the highest state of consciousness, keeping alert, never any reason to give up the precious gift, hardly developed through inclinations of self-awareness. There is a very fine phrase, you know, Sanskrit, which brings this clearly: Sat chit ananda. Sat is truth; the ultimate reality. The universal, the transcendent. Chit is mental awareness of it. And the result is ananda, bliss. You cannot have bliss if you ar not aware of it. So remember and use it for yourselves, Sat, Chit, Ananda. Blissful awareness of reality. But awareness; self-conscious awareness. That disposes of all those fears of losing oneself in the whole and the drop in the sea and all that. These are quite misleading expressions. In my forthcoming book I deal much more with this, of the fusion of individual and universal consciousness. Q. In the diagram of the human being the Higher Self is not the super-ego (construct) and it is also not any “phenomenological” concept of the Self. Instead it is pure being, essence, not an intellectual construction. This is correct? Can the fact of the transpersonal Self be “proven” scientifically? I mean as an entity, not in the Jungian sense. Is it by presenting exercises through which individuals can subjectively realize the Self, and then let their testimonials speak, or do you expect also a more “objective” proof to become possible? A. Well, this is absolutely quite correct. The higher Self is pure being and essence, not an intellectual construction. We’ll have to stick to that. You ask how it can be proven scientifically. It all depends what you consider science. By ordinary science it cannot be proven because there is no proof on that conceptual level. But if you take the scientific attitude and method in the way I have put it, then yes. It is proven by its direct experience; it is one of those primary experiences which are the evidences of themselves. Just as colour, a sense of beauty, or other, they need no explanation. They are primary experiences and therfore have full scientific value, in the broader sense. The point is that one has to create the conditions needed for having the experience and scientists up to now have not taken the trouble to do that. It should be the ABC of the scientific method. You see, the pattern is, let us take a hypothesis and then let us see if the facts corroborate or not. If we have only sense enough to make the hypothesis that the self exists then the next step would be to make the relevant experiments to see if it is there or not. Only, those experiments cannot be made in the laboratory with quantitative methods. In a sense they are difficult, e.g. the exercise of Disidentification, and making room for the experience of Self-identification. The exercise exists and is a definite one; only we should take the trouble to do it. Here it is a strange blindness; well, not strange, it can be explained, but there is no use. The only answer is that there are hundreds of thousands of people of every kind and continent who have had this experience and have proclaimed it and given testimonial of that, of course, in an indirect way, because it in itself is ineffable. So it is worth hard trying if it is true. Nothing else to say. Either you experiment or lay the subject aside. There cannot be any objective proof because it would be a contradiction in terms. Therefore it would be useless to make an attempt to appease them. It wouldn’t work. Q. So the Self is radiant, the immovable mover. How can the Self be immovable if in meditation we say we raise the centre of consciousness to its highest level? I say self (small s here). Did Aristotle speak of the Self (capital) here? Dr. Assagioli says they are all one. I can see that in my mind, but find another part differentiating them. Self or Higher Self both seem to move in the physical sense. The one up and the other down and up. I like the idea of an elastic string, connecting them. How then is the Self immovable? It’s a paradox. Or is there a different meaning of immovable? Immovable meaning perhaps undeviating centrality? Undeviating in motivating movement in other bodies (those of the personality)? Undeviating in radiance? Undeviating in purpose? But not, seemingly not, movable in the physical sense. The Self radiates all the time. It’s a constant source of radiation and energy. It is not always though through the personality. Sometimes the personality seems more important than the inner radiation. So the Self is not seen or is not apparent. On the other hand, though, the Self can be seen reflected in the unfolding personality. What a paradox and a muddle! A. That is good. You have courageously faced the most difficult problem concerning the Self and reality in general. Courageously! And you have brought out vividly all the apparent contradictions and paradoxes; and it’s good to realize that before going to solutions. Sometimes we have the illusion that we understand this mystery. It is good that you realize you are confused and baffled. It is a very necessary and useful stage, and I think others may be too. Well, it is a problem that has intrigued for ages human beings, also in the East. Just this morning I happened to go through three Upanishads in which this problem is taken up. So you see that is has degrees of nobility. Thank you for bringing up our questions.